Discover Berchem's street art on foot, walk past impressive murals and find small hidden gems. The route takes you, among other things, past the workplace of Meeting of Styles, the largest graffiti event in Belgium. During this annual festival some 150 artists take over the walls, resulting in one of the longest graffiti walls in Europe with works of art by various international artists, each with their own style and technique. Sometimes it takes a little more effort to admire a work of art. 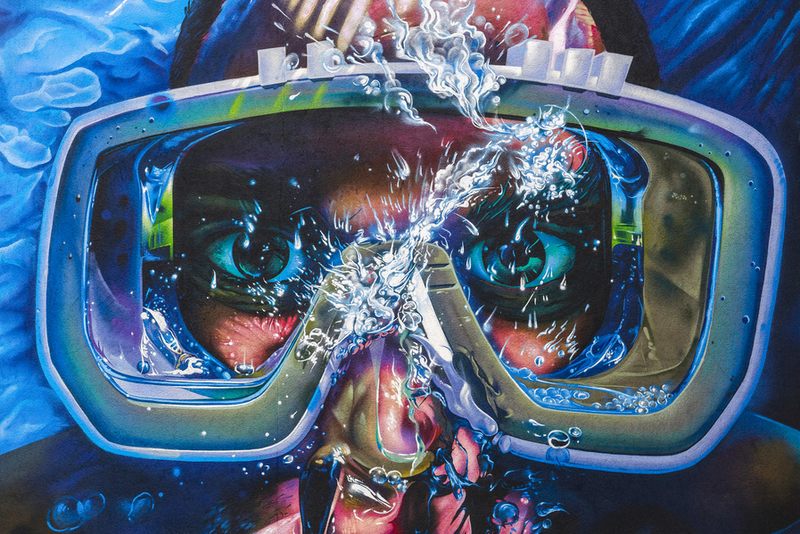 For example, only a train ride from Berchem Station to Central Station will allow you to take a look at the graffiti of top artists such as Smates and Steve Locatelli. A challenge, but without a doubt worth it! Impressed by what you see along the way? Artists and residents alike love to see your reactions and photos on social media. The explanation of each work includes the artist's Instagram account. Tag the artist and tell them what you think of their work of art! 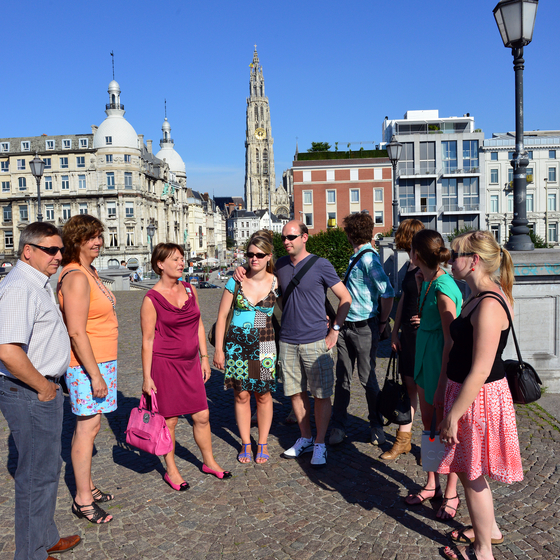 Get your free guide at one of the Visit Antwerp visitor centres or in the Berchem district office. The route is 11 kilometres long. Accompanied by experienced city guides you’ll walk to the unique Market place, surrounded by the mighty Renaissance Town hall and numerous guild halls. You’ll be astonished when seeing the famous Cathedral of Our Lady, coronated with a unique Gothic steeple, the symbol of the City of Antwerp. 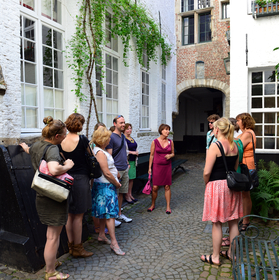 You’ll then pass through a charming sixteenth century inner yard, the ‘Vlaeykensgang’, and will continue your stroll alongside many sites and places which you have never imagined before. Information, prices and how to book.